This is your first installment for info on our June 30th BTA (Bethlehem Trail Association) party, as promised! The next one will talk about food and entertainment! This one is about the beer! bair-nuh-ses-i-tee is the name, why you ask? If you noticed on the label a bear riding a bike, this is the official logo for BTA. For the beer label, reklis had to throw a splash around it, as for the "necessity" piece, its exactly that! 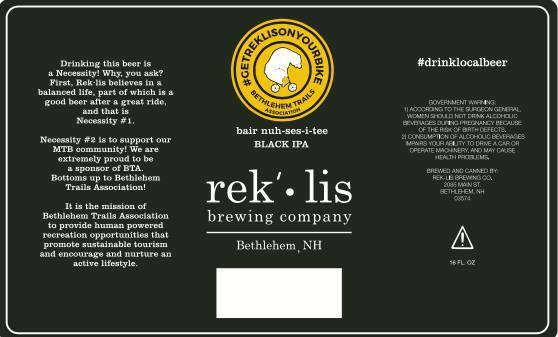 When you buy this beer, not only will it satiety the taste buds for a great beer after playing, you'll also be contributing to building Bethlehems first trail network, hence the name! This beer needed to be as special as the town it's originating in, thus a Black IPA it tis! You want a description, ah ha, that my darlins, you have to stay tuned for! Currently the most action is to mark your calendars!! 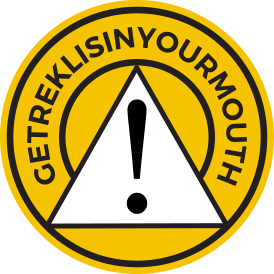 ;) Tune in till next time and getreklis!